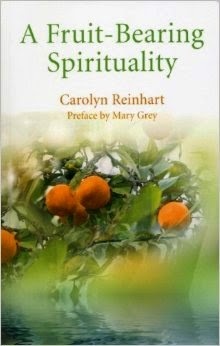 Today we are interviewing Carolyn Reinhart MA, Dprof., author of A Fruit-Bearing Spirituality. I graduated as an RN in 1962 and worked in that field until I moved to the UK in 1974. I completed an MA in Christian Spirituality from Heythrop College, University of London in 1999 and then a Doctorate in Professional Studies with The National Centre for Work Based Learning, Middlesex University, UK. "Developing a Spirituality Praxis in a Multidisciplinary Organization." 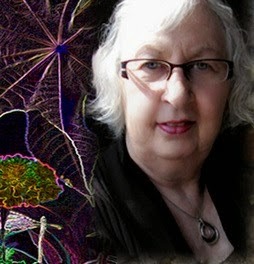 Author Carolyn Reinhart MA, Dprof. The book was published in Dec 2013 by John Hunt Publishing, Circle Books, UK. 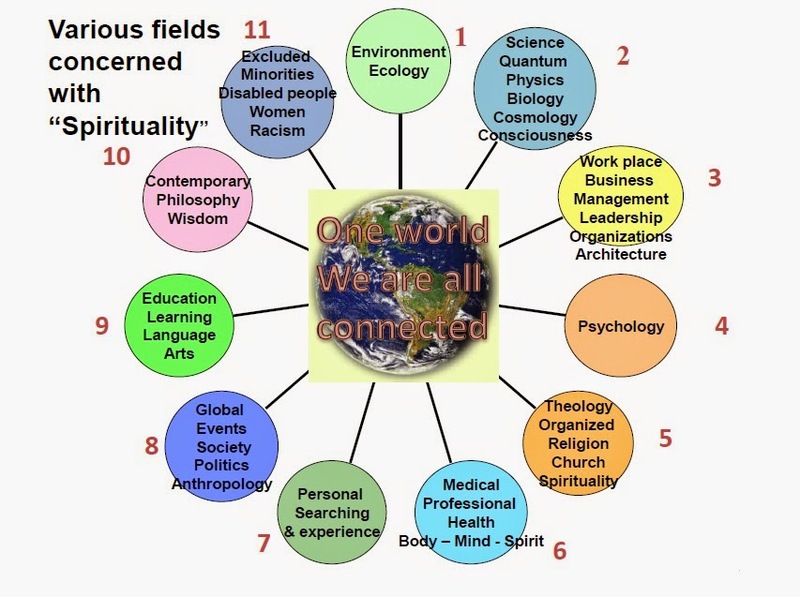 An Authentic Spirituality for today Within the pages of A Fruit-Bearing Spirituality Dr Reinhart shares a Model for Understanding and Developing Spirituality Praxis (theory and practice combined) while enveloping the personal and social aspects. There is also a basic Model of Inclusivity referring to the Dominant paradigm of oppression and the need for a paradigm shift and new world view. It is not about Religion or Theology but about the Spirit, which no faith has ownership of, and includes perspectives on relationships, context for practice, language, religion/theology, transformation and quantum physics. When did you first become interested in spirituality? I have been “interested” in it all of my life. But as a separate and new academic subject, not until 1997 when I began my MA at Heythrop College, University of London. It was a new subject and field, although still under the Theology Department. Since that time the field and understanding of spirituality has grown in leaps and bounds, in every way, and almost every field laying claim to its own understanding of what “spirituality” is and means within their field eg psychology and spirituality, environment and spirituality. It is a greatly misunderstood word and like a slippery eel but also very elastic and inclusive of all. One of the things you write about in your book is that spirituality is both personal and social. Can you elaborate on this a bit? Some people seek and understand “spirituality” as a very private and personal aspect of their lives and they are trying to find an understanding and practice which enables them to find answers to life, death, suffering and meaning etc which will then bring them the peace which they seek. However, we don’t live in a vacuum, but are social beings, living in an inter-connected way, within our global home and universe. We are connected to all that is and so interface, interact and affect each other. Spirituality is therefore understood also as “social” – in that it is seen through the lens of where and how we live our lives within our contexts. If we “walk the talk”, practice what we preach, with all aspects of our lives integrated since they are part of a whole: body, mind and spirit within our relationships, families, groups, work places, countries, churches and our entire larger global context, then our spirituality is indeed social. We are not isolated from each other, there are no either/or’s, but both/and’s – without dualisms. We are one. You write about on the link between science and spirituality. When did you first begin to research this link? During the MA we read books by Danah Zohar on Quantum Physics – “The Quantum Self”. “Anyone not shocked by QuantumTheory has not understood it” (Neils Bohr) “The day will come when after we have mastered the winds, the waves, the tides and gravity, we shall harness for God the energies of love. Then for the second time in the history of the world, man will have discovered fire" - Teilhard de Chardin. These are the two quotes which I have on the very first page of the book. For me they are essential to embrace as part of our understanding of life. • What is my place in the scheme of things? • Why is the world like it is? • What does it mean that one day I must die? These are some of the key questions of urgency that many of us have, often with no real answers. Quantum science shows us that we cannot separate ourselves from our environment, helping us to understand our everyday life and our relationship to ourselves, others and the world at large. In this century we have particularly experienced a particular form of alienation so that we feel like strangers in this universe. Now as we get in touch with our consciousness we are less alienated from Nature and experience being more a meaningful part of the scheme of things. What do you hope readers get from reading your book? My intention was to make a book available which presents a well-researched, authentic theory of what “spirituality” means today, which is the fruit of Doctoral studies. By including the visual concepts, way markers and guidelines, as well as website reference pages as well as current news blogs, I intend it to offer a wide range of resources, which readers can use for further study. I don’t intend to “write” a book as such, but do continue to research on a daily basis, blogging frequently with current relevant global events and oversights. Anything else you'd like to tell potential readers? “Spirituality” as a field continues to be somewhat vague, wide ranging, misunderstood and confusing, since it is still linked in many peoples’ minds with church, religion, dogma, theology, rules and regulations with hierarchical oversight and control. There is also an attendant need for an authentic, sound and healthy understanding of the theory of spirituality. The difficulty is that so many people and professions assume an understanding and “market” that as valid and bone fide, like self-styled gurus. However, thankfully, we can often tell by the “fruits” of their lives and their practice if there is the necessary integration. Many people are seeking answers outside the “churches” and don’t find it easy to find appropriate and safe contexts to continue their searching.